The Coroner's Office is mandated by law to investigate deaths independent and parallel to law enforcement. The office determines cause and manner of all sudden, unexplained and unnatural deaths, as well as natural deaths where medical attendance was not present. The Coroner is the highest law enforcement official in the county and has the power and duties to enforce all Kentucky Laws. 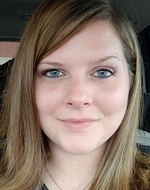 "Amanda Nelson graduated from Mid-America College of Funeral Service with an Associate's degree in Applied Mortuary Science in 2009. She is a licensed Kentucky Funeral Director & Embalmer. She has been a resident of Livingston County for seven years. Amanda is a mom to three beautiful children, Caleb, Piper, & Stella. The family is actively involved with Relevant Church in Paducah where Amanda serves on the Greeting and Worship Teams. In her spare time, you will find her spending time with her family, hunting, gardening, and enjoying the outdoors. Her passion is helping others in their time of need." 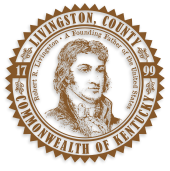 The goal of the Coroner's Office is to provide the citizens of Livingston County with thorough, complete and professional investigations and services. Our mission is to maintain the highest standard of professionalism and compassion while representing those who can no longer speak for themselves. The office is dedicated to assuming jurisdiction over persons who have succumbed to injuries, accidental or by the hands of another by unlawful means; ensuring the decedent and their survivors are treated with the highest level of dignity and respect.